6 former US Attorney Generals have already condemned the disproportionate harshness of the Shalom Rubashkin verdict. 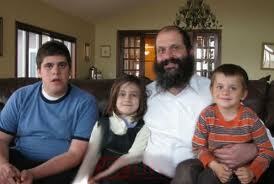 Now is Shalom Rubashkin’s final chance for justice– to have his appeal heard by the Supreme Court. Forward this powerful video “Unjustified: The Unchecked Power of America’s Justice System” and sign this petition so that the Supreme Court will accept the Rubashkin appeal. Shira's Parents: Shira Opened Her Eyes! @ minute 7:20 she is so right! This happens all the time. Corruption runs throughout our government and judicial system like a hot plague. Private prisons are cropping up all across the states which will guarantee the private prison, a 90% prison population. It’s a recipe for corruption from the top down! Judges are bought and sold and the same goes for kept juries. We have the largest prison population of any nation on the globe and we should ask ourselves why this is…who is profiting etc, so we can get at the root cause and attempt as a nation to dig it out so that we may have justice which is never given, but demanded.